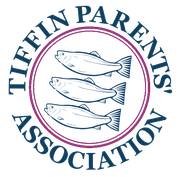 TSBC Associates is the new name for the combined parents’ committee, TARC and old boys’ network. As a united body, it aims to support rowing at the Tiffin schools. Tiffin is one of the few state schools to offer rowing, and has done since the nineteenth century. The club consistently produces good performances in national events such as the Schools' Head of the River Race. The top boat qualified for the Fawley Challenge Cup at Henley Royal Regatta this year and alumni have in recent years taken part in the University Boat Race. The annual "OK Row" from Oxford to Kingston is a key event in the school calendar and provides an exciting challenge for all the boys who take part. The school has an excellent facility at Kingston Rowing Club with a long stretch of calm, non-tidal river on the Thames at Kingston. Parents are currently involved in coaching and fund raising for the club.